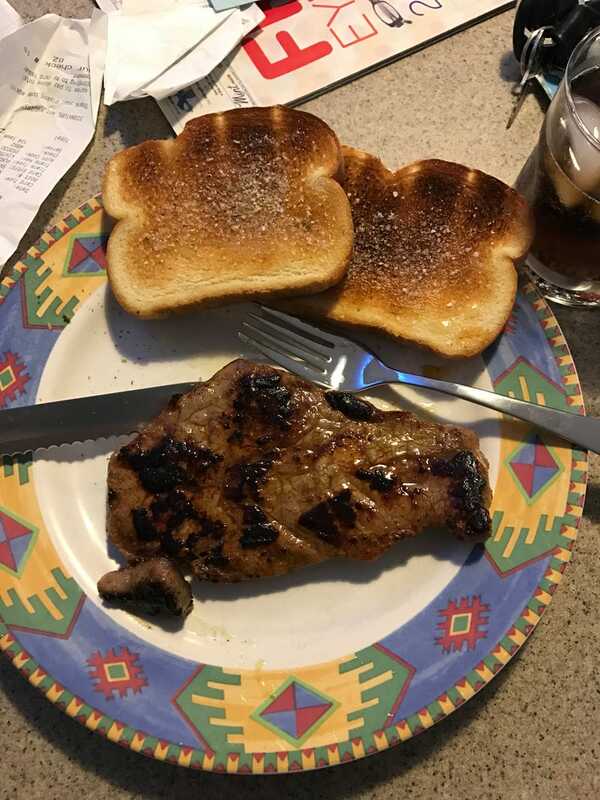 Steak and Garlic Bread. It's what's for lunch. I did a pretty darn good job. Still learning the seasoning tricks. It’s a bit harder when cooking on an electric stove top and a stainless steel pan.